Fight for big wins on Bruce Lee Slots! This 5 reel slot game packs a punch with 60 paylines & free spins to boost your wins! If you’re looking for an action-packed Kung Fu slot game, then play Bruce Lee slots! 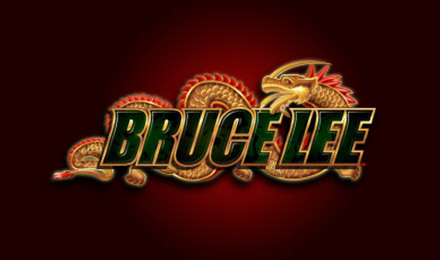 Named in honour of the late great King Fu action star Bruce Lee, this 5 reel slot game boasts 60 paylines, for huge potential wins. Bruce Lee Slots has two bonus features for even bigger payouts. The free spins bonus is triggered when 3 Bruce Lee scatter symbols appear anywhere on the first 3 reels. Players who activate the free spins feature will get 14 free spins plus an enhanced reel set. Wins will be increase when there are stacked Gold Dragon symbols and Wilds on reels 2 through 5. There is a second bonus feature, which can only be triggered during the Free Spins Bonus game. If 3 Enter the Dragon symbols appear on the first 3 reels, the player will get "locked" free spins, which means the number of free spins won’t be affected. Once the Red Dragon symbol appears in the middle reel the bonus round is over. Players can benefit from this extra bonus by greatly increasing their wins. Bruce Lee Slots is a Kung Fu fun slot game that all slot players will be sure to enjoy!